Big news before I start! 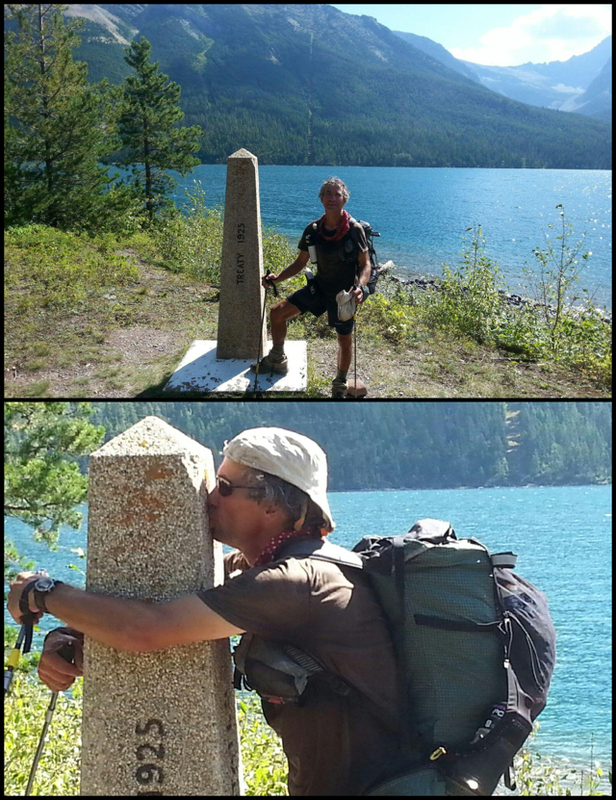 Mtn Rat finished the trail yesterday! He pushed to get done in time for his family’s yearly vacation together. He may have been first to finish (he started 10 days or so after me) and may even be the fastest this year as he and Ross were going back and forth towards the end. I’ll find out more later. I don’t think Mtn Rat would mind me telling everyone that he’s 53 and kickass! He’s wanted to do this trail since he was 12yrs old and it was an inspiration to hike with him and his eternal enthusiasm for the outdoors. He keeps a journal on postholer.com if you want to read more. Here are his pics. I’ll be there in two more weeks!!!! It was a nice morning this morning. I started hiking by 6:45am and found out that the trail I was on last night before I turned around was indeed new trail. It basically paralleled the dirt road that the trail was originally on and then pops out back on the road again. But had I taken the new trail, I wouldn’t have gotten water. The new trail did this throughout the morning. It was nice trail and I took it most of the time, but I probably could have walked the dirt road to avoid a bunch of snaking around. The new trail varied from clear and signed to cairns with posts across a field. One annoying thing is all the spider webs I walked through in the woods most of the day. 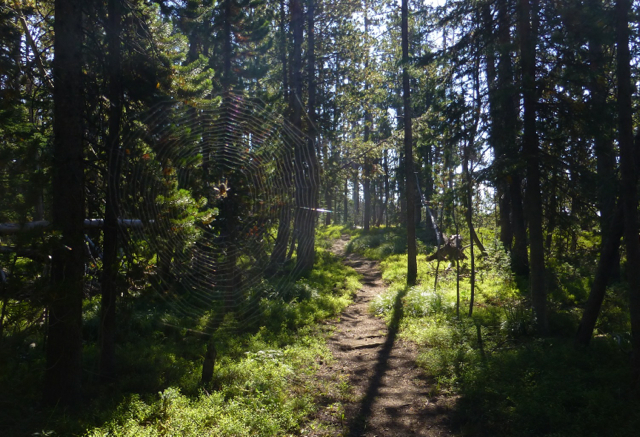 The next hikers ahead of me are Optimist and Stopwatch and they are about two days ahead, so the spiders have had sufficient time to create elaborate webs right across the trail that I’d suddenly come face to face with and then walk around. There are random strings that hit my face, legs, and arms and it will never be something I’ll adjust to. It’s just a very annoying and creepy feeling and a couple of times I walked into a full web. I just got a chill just thinking about it again. Here is a picture of one. Water was much more frequent throughout the day, which was nice. I was occupied by all the turns the trail made today. Some were well signed and others were not, so I had to be alert not to miss one of the countless turns. I also stayed entertained by listening to the rest of the audiobook, The Prodigal Summer by Barbara Kinsolver. It started off a little slow and long winded, but then I got into it and almost felt like it was a movie that lasted the whole day. It was a rich book with great depth and quality of the characters. It was a really good one for the trail because the author obviously has a passion for nature. The overarching theme of the book focused on how people and nature are interconnected. Kingsolver goes to great lengths to appreciate the simplest things in nature and delve into what makes them unique, valuable, or treasured. It made me more aware of my surroundings and reminded me to really take in all that is around me in these final days. 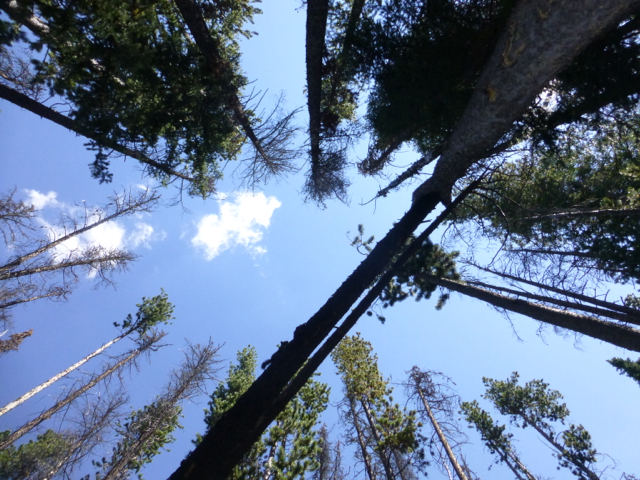 At lunch today, for instance, I was enjoying the peacefulness of the fairly quiet forest. Then a frantic noise was coming from above me. A squirrel was quite assertive in letting me know I was in his place. He ran up and down the tree above me and was just squeaking at me loudly. I got a picture best I could and thought it looked cool, so I included it. 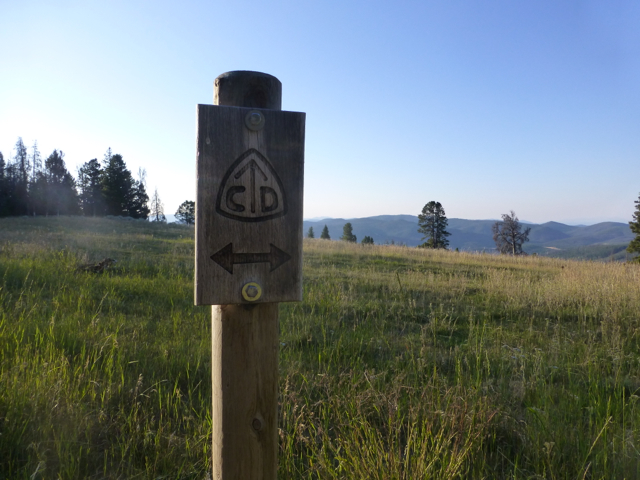 The book also got me wondering why I haven’t connected with the CDT as strongly as I did the PCT. I’ve been aware of it for most of the trail, but haven’t been able to quite describe what it is that I feel so differently about the trails. Today it came to me. While I was on the PCT, it felt like home. I felt safe and like I belonged there. I’ve often said that it was the most extended amount of time that I felt like I was in exactly the right place at exactly the right time. That feeling is often in fleeting moments in life, but it was prolonged and almost constant for me on the PCT. This is not so on the CDT. I always have a feeling of unease on this trail. Many triple crowners say this is their favorite long trail, but I’ve known for awhile that there was some kind of disconnect for me. I wondered if I was just jaded because it’s my second time around on a thru hike, but it’s not that. I finally put my finger on it today. I am a person who needs to trust my surroundings to feel at ease. Routine is good and familiarity helps. I’m not able to trust this trail and it’s a very uneasy feeling. 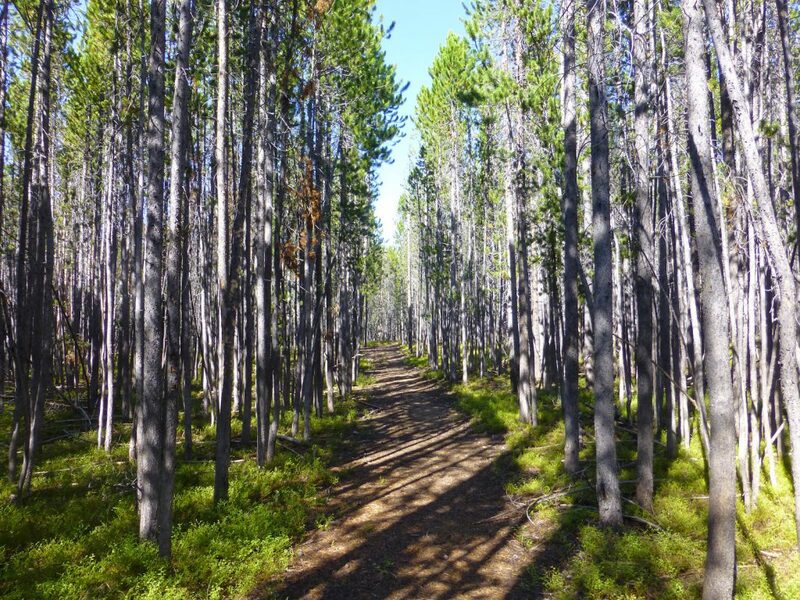 Today, like many days on this trail, there were multiple times when I started to feel at ease and I’d settle into a rhythm where I could just hike and be present in the moment…then, within minutes, something would happen to take me away from that. The trail will suddenly end only to resume 20yds later after wandering through some tall weeds just as I’ve started to think I’ve lost the trail. I’m constantly checking and rechecking my location for the next turn and repeating it like a mantra in my head because there are multiple intersections with no signage. Lately, I’m always paranoid about passing water sources without filling up because so many have been dry. Whenever I see water, I find myself stopping to calculate and recalculate how much water I have or need and how much that would be if the next expected source is dry. Some enjoy the adventure of this trail with it’s multiple routes and incomplete trail. I just find myself always on guard and never sure of what might come. I just wish I could feel more trust in this trail, but I can’t. I’m definitely on of those once bitten twice shy people and I’ve been bitten quite a lot on this trail. I’ve had enough wrong turns and dry sources and now I expect to be dropped at any moment. Also, the weather has been more extreme lately and fires are sprouting up all around. I’m also waiting for my grizzly bear encounter, which most SOBOs had some kind of sighting or experience in northern Montana. I’m constantly flinching in some way and expecting to be hit by this trail. That’s just not what I’m looking for and it doesn’t fit my personality and the way I function. I want to feel a trust and safety in my surroundings that I’m not able to get here on the CDT. I’m not saying that I’m scared out here and that I dislike this trail. I’m just on guard all the time and that’s not relaxing or healthy. Sorry people, I just can’t “embrace the brutality” as the trail motto goes. Rampage has given it a new motto that I agree is more fitting, “bend over and take it.” I just want to feel more at home the way I did on the PCT and less like an unwelcome visitor. I know the trail is improving every year and that it’s still in it’s toddler stage of development. I can’t imagine what it would have been like just even a few years ago. I’ve been getting this comparison question a lot now that I’m towards the end and that’s what I’ve honestly come up with. A couple hours before the end of my day, I came to what I thought would be my final water source for the day. It ended up being basically a large puddle. Not knowing if my first source tomorrow might be dry, I took 2L of the brownish warm water hoping to drink as little of it as possible. That was an extra 4lbs at the end of a day of hiking. 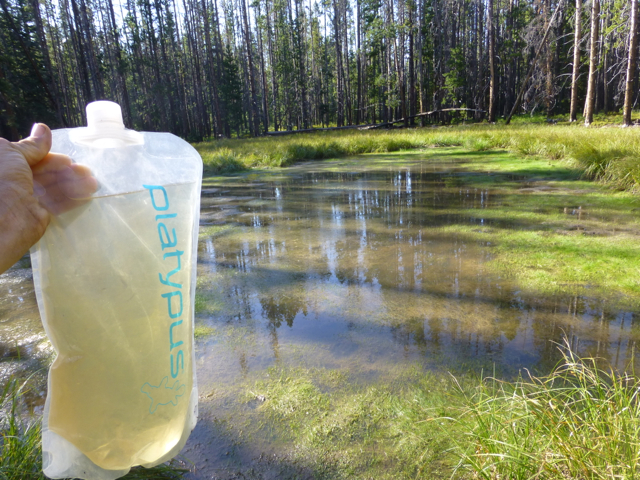 Two hours later, I came across a stream of clear cold water that was not labeled as a water source. Of course! Well, I may have carried that 4lbs of water for two hours, but I guess I should just be happy that I found better water before camping…I just need to tell my shoulders that! Okay, I’m off to sleep. Only 17mi from town tomorrow!